Begin by cutting your lamb into large pieces and place in a mixing bowl with the onion, garlic, and carrot. Season liberally with salt, olive oil and ras el hanout. 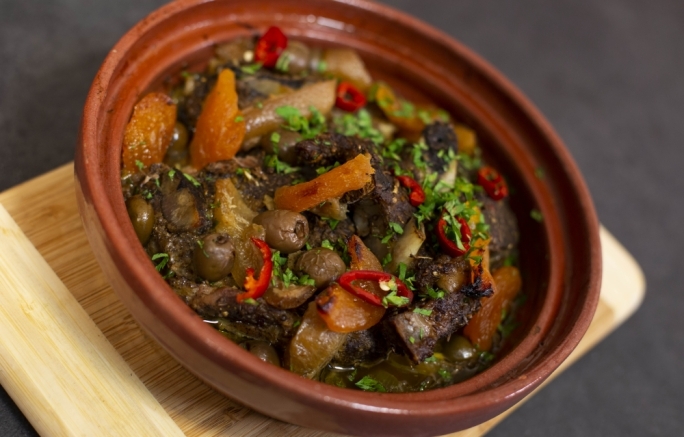 Place the sliced onions on the base of the tajine and layer the lamb and remainder of the vegetables over them. 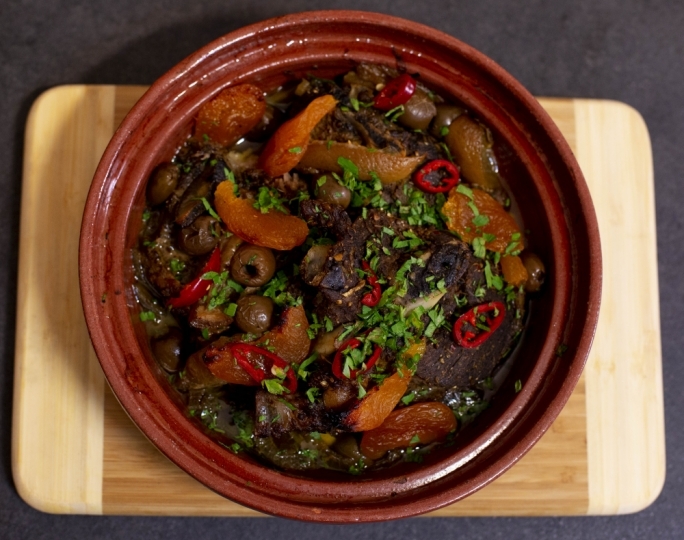 Add the dried fruit, olives and preserved lemon over the top of the lamb and close the lid to the tajine. Place in a 160°c oven for 2 hours or until tender. Garnish with toasted nuts and chopped parsley.